Additionally, the Dental CAT-scan provides the most comprehensive and accurate information required to determine your bone quantity and quality for possible dental impla nts. If teeth have been missing for some time he can see how much bone loss has occurred and determine what type of bone grafting may be needed. With Dental CT scanning, implant procedures can be planned in detail before any surgery takes place. This means virtually no surprises when Dr. Korenman performs surgery. Only 12% of general dentists in the US place implants. 5% of those use the most updated form of technology. 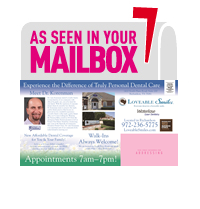 And Dr. Korenman is one of these top dentists! We invite you to learn more about the NewTom Dental CAT-scan on our blog by clicking here. Dr. Korenman is a part of the very small percentage of dentists (only 1%) who have invested in laser technology. This technology helps you heal faster after your dental procedures by treating dental infections, killing bacteria, regenerating gum tissue and catching cavities before they appear. Waterlase is a safe and gentle alternative to traditional dental tools. Using laser and water spray, Waterlase can perform many procedures without a shot or a drill. The technology helps treat infections, regenerate gum tissue and catch cavities before they appear. Dr. Korenman even uses this amazing laser to help newborns who have tongue tie issues. Our hygienists use the EPIC Diode Laser by Biolase which promotes healing for gum tissue, can desensitize teeth, doesn’t cause bleeding, kills bacteria and does all of this painlessly. It is also used for teeth whitening, and pain therapy (typically TMJ). CEREC Technology which uses ceramic materials to restore your teeth to their natural strength, beauty, and function. 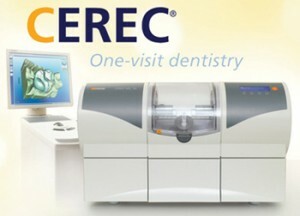 The best thing about CEREC, is that your teeth can be restored in one visit to the dentist. Your crown is designed and milled right here in our officeThe technology saves a lot of time for our patients.